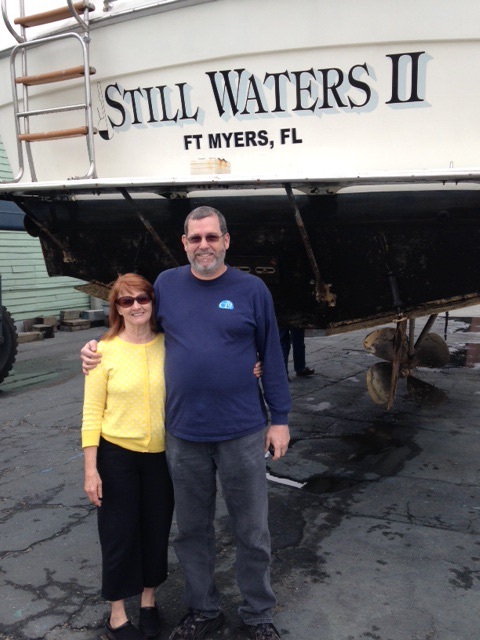 David and Claudia Fuller are the third owners of Still Waters II. Godspeed and calm waters. Keep your eyes above the waves! A belated Merry Christmas wish! As well as wishing you a fun safe and adventurous New Year!!! Love the blog!!! Hope you are well. Good to hear from you, hope life is good in Powder Springs. Looking forward to following ya’ll on your Great Adventure on the Loop. We met you at the AGLCA in Norfolk. Been thinking of you, knowing that you must be enjoying your lake house on one of my favorite lakes.